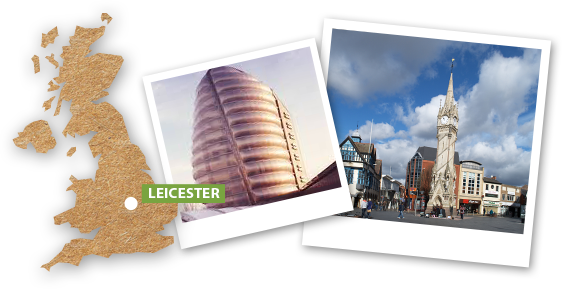 Learn the Enchanting Italian Language in Leicester, the Easy Way! Easy Italian’s network of native Italian teachers is now offering its trademark bespoke Italian classes across the UK. 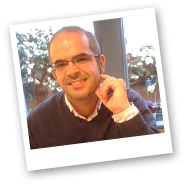 Our Leicester team offers Italian lessons to adults and children at any level. At Easy Italian Local we put into practice the belief that, when it comes to learning a language, one solution does not fit all. This is why our teachers, who are native Italian speakers, build carefully planned lessons around their students'​ needs, interests and goals. At the core of what we do is the desire to encourage the knowledge of Italy’s beautiful language and culture: enabling students to communicate in Italian is as important as making them understand what it means to be Italian and live "the Italian way"​. Our teachers are therefore always happy to go the extra mile to share with students their contagious passion for our culture and history, offering a rewarding, all-round learning experience. Get In Touch And Start Your Journey Today! 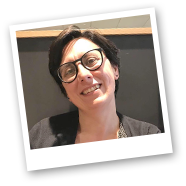 I am a very experienced Italian tutor, with a Master’s Degree in Italian language, literature and culture teaching and promotion. I have worked for Universities in Belgium and Scotland, for language schools, for the Italian Cultural Institute and the Language Centre of the European Commission in Brussels. I feel that living and working in different countries and teaching to people of all ages, nationalities and walks of life has given me the precious opportunity to gain the ability to accommodate a variety of learning styles. Contact me to discuss your requirements and I will get back to you as soon as possible. My name is Gianluca and I have been teaching Italian for over 8 years. I believe learning a language is a life skill that opens many doors: work, holidays, meeting new people. By creating a good course structure and encouraging a supportive learning environment, I help my students gain confidence, always monitoring their progress to tailor classes around their needs. Get in touch to start learning Italian today and I will build a programme around your interests and goals.